I’ve been on book tour for The Storied Life of A.J. Fikry and indeed, I’m still on book tour! Come see me at an event if you have an evening. Many amazing things have happened to me on this book tour, and when I have a moment to catch my breath, I plan to write about a few of them. I think of the many babies in baskets I have encountered (and the one cat in a basket), the spectacular islands of Washington, the Fikry-reading Sasquatch in Anacortes, etc., etc. I have bought more books than I will be able to read in my lifetime, been stuffed with pie, lefse, cupcakes, Orca-shaped cookies, and love, seen numerous friends, chatted with booksellers of every taste and constitution (quite a few A.J. Fikrys, as is probably to be expected), met readers ranging in age from toddlers to 80+, and yes, visited twenty or thirty bookstores, each delightful in her own way. (I do not know that I will ever tire of visiting a new bookstore.) And the tour is not quite half finished! However, the reason I write you tonight is because of an event I did earlier this week at Books Inc. in Alameda, CA. A reader handed me a letter along with a bar of admirably dark chocolate. The letter concerns the Anya Balanchine books, and it answers a question that many of you have been asking me for months (and that I have promised to answer for months): namely, what DOES Win’s acronym mean in In the Age of Love and Chocolate? She was VERY close — all but three words. My corrections are in black ink. We really love our hair! I’m so excited (and a little sad) that In the Age of Love and Chocolate, the final book in your fantastic Birthright trilogy, is coming out in October 2013. Did the book have a title change, because I’ve also seen it listed as In the Days of Death and Chocolate. Thank you, and I’m so glad you like the series. The truth about the title change is that I wrote two entirely different books for the last book. The first time I wrote the book it was called In the Days of Death and Chocolate. That version was pretty deep into the publishing process when I began to have a recurring, waking dream about Anya Balanchine. I kept having this fear that I would run into her and that she was mad at me. At first I tried to ignore her, but after a while, I couldn’t. I was at a party, and I actually thought I saw her across the room! That was a Saturday. On Sunday, I called my editor and I might have cried a little bit and I asked her if I could write the book again. She said yes, and now Anya Balanchine isn’t angry with me anymore. Read the rest of the interview and enter to win signed hardcovers of the first two books over at YA Romantics. It’s my favorite blog interview I’ve given in a while not to mention the only blog interview I’ve done about In the Age of Love and Chocolate. 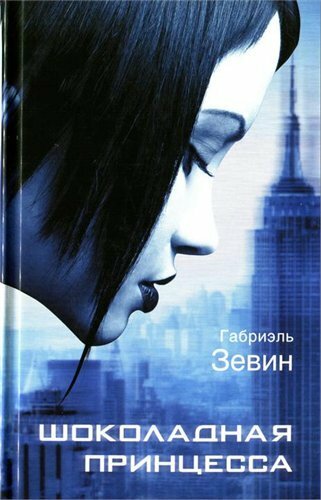 The interview also answers many of the questions readers have been e-mailing me about the book. And if that isn’t enough, there’s still time for you to win *signed* hardcover copies of All These Things I’ve Done and Because It Is My Blood. Find the rest at Jen Ryland/YA Romantics. Read an interview with me about In the Age of Love and Chocolate, the third book about Anya Balanchine, and then enter to win signed hardcovers of All These Things I’ve Done and Because It Is My Blood. I tried, and each attempt was a fiasco. I yearned, but every love of mine was wrong. I needed, and the shame was overwhelming. I failed, and so I hated being young. Read more at the Paris Review, my favorite online destination for poetry. I read this poem perhaps a year ago, and I can’t stop thinking of it. I love its economy — it’s an entire, very good young adult novel in four lines. I am intrigued by the use of the word “but” in the second line, a variation from “and.” (Consider the “but,” my friends who wish to become writers.) I plan to order Galassi’s collection, Left-Handed: Poems. Finally, a few answers to your questions about In the Age of Love and Chocolate, the third Anya Balanchine book. 1) There won’t be paper ARCs. I wrote the book twice (not just revised —I mean, two entirely different books with two entirely different beginnings, middles, endings, and even titles, as some of you have already noted), and it became too late for my publisher to print ARCs. 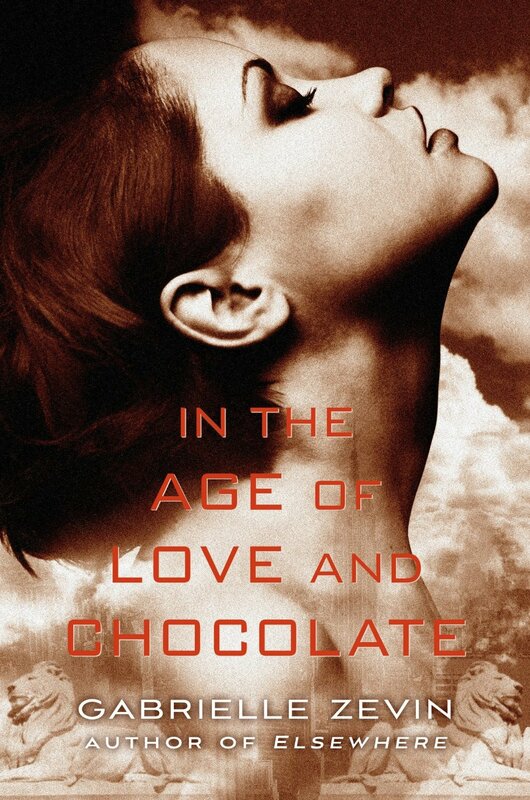 2) The correct title is In the Age of Love and Chocolate, and it publishes October 29th, 2013. Finally, finally, after three and a half years on tumblr (Does anyone remember the noble failure of the Dear Writer tumblr with Carolyn Mackler? No? That would probably be because we peaked at 200 followers. ), I’ve gone back to a blog. The thing I’ve found about myself and social media is that it’s best to be flexible. Try new social networks, if you want. Move onto different ones, as your mood or needs change. At this moment in my life, I’m feeling like anything that slows things down online is good. I used to think that a particular social network might be the key that turned the lock for me and being online. I am no longer invested in finding such a key. I am resigned to the fact that I am a mediocre-to-poor online presence. Please read my books anyway. So, I’ll still be on tumblr, but if you want to talk to me, the best place to do it is here, in comments.